The X-RES scale is best for counting redemption tickets. These tickets are typically very light in weight and the high resolution of the X-RES combined with it's modest price makes it the perfect scale for accurate ticket counts. The X-RES 12 is best choice for redemption tickets. Perfect for extremely small size parts of any type: metal, plastic, fiber, including springs, screws, hardware, beads, electronics, etc. Counts tickets or pull tabs (12 lb. model). 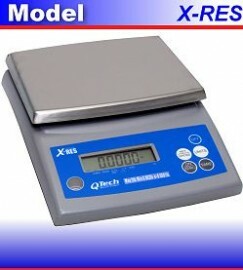 The X-RES models are able to mix more than 95% of all popular ink formulas in amounts of a 1/4 lb. or more.